Seoul is the center of the K-Pop world. But for those in the city who want music that isn’t K-Pop, dance club DJs, or bleeding-hearted 20-somethings in Hongdae, it’s easy to overlook Seoul’s far more mature music scene. Three places in particular offer the more evolved music lover a chance to enjoy one of life’s finer pleasures at a more agreeable tempo. 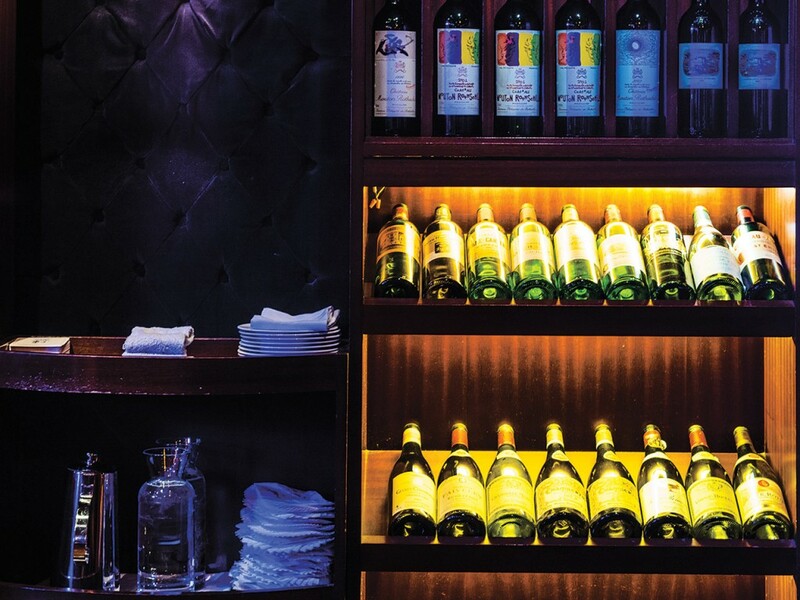 Pinot is an apt name for a wine bar in Seoul’s French community, Seorae Village. This wood, brick, and wine-colored basement bar offers live music every evening. Though they specialize in serving full bottles of wine, you can get a glass of house red with a side of popcorn for KRW 15,000. Pinot owner Lee Doo Heon climbs onstage every Thursday evening to jam Beatles songs with a full band. 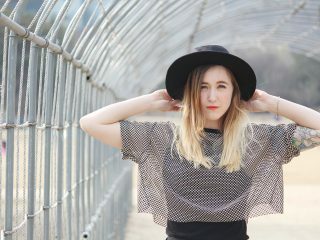 Lee is a graduate of the prestigious Berklee College of Music and once played guitar for the ’80s Korean rock band, Five Fingers. He began Pinot as a jazz club, but has found more success specializing in rock and pop tunes. Friday nights bring a seasoned session band that Lee calls the best in Korea, who have been playing Pinot for eight years. 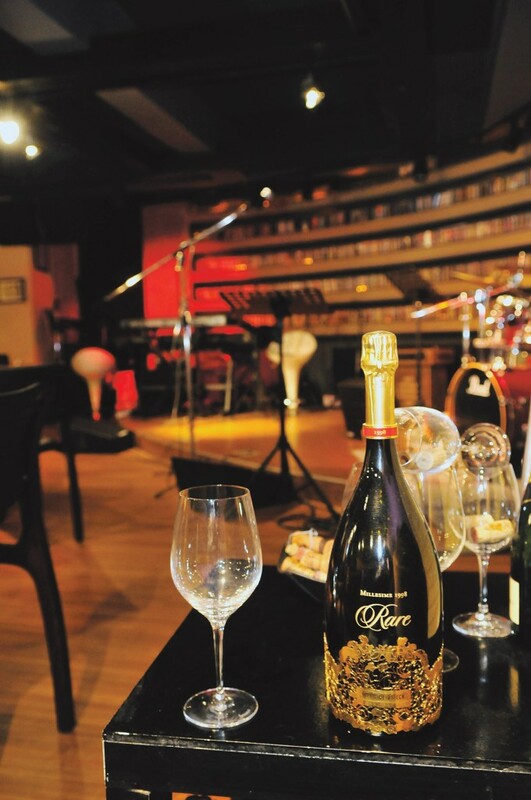 Pinot’s panoramic stage, beautiful sound mix and jazzy vibe make it a wonderful spot for a glass of wine and some quality music. With turntables, old wooden furniture, and the musk of 10,000 vinyl records, stepping inside the LP bar Peter, Paul, and Mary feels like entering your hip uncle’s basement rec-room. One measure of a great LP bar is the frequency with which you Shazam the music. Peter, Paul, and Mary scores high marks, especially if you love the ’70s. Plus, like at any good LP bar, you can request songs. 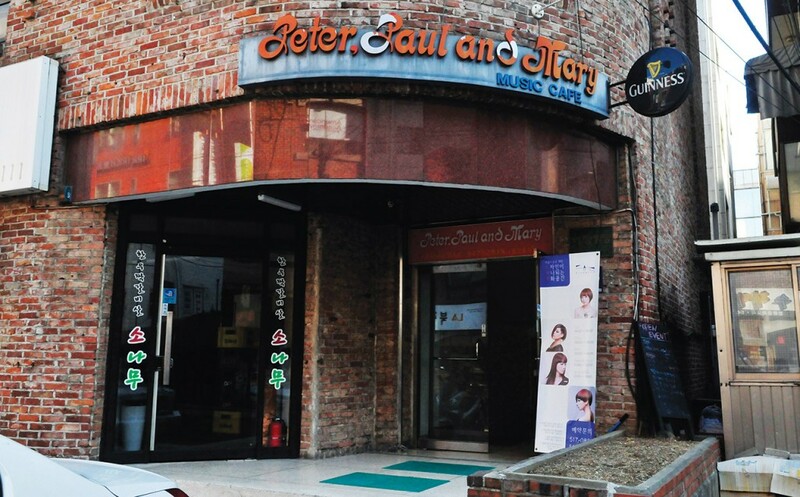 However, the true appeal of PP&M is their sound system which the owner, Mr. Han, will proudly show off. His astonishing array consists of really high-end vintage stuff from the ‘30s and ‘70s, state-of-the-art tech like Apple turntables and Bose sound cannons, and stuff he built himself. Though the whole room is wired for sound, the back wall stands out because of two huge wooden amplifiers that look like RCA gramophones on steroids. They are replicas of the best theatre sound system of the 1930s that Mr. Han built from imported Finnish wood. If that’s not a labor of love, what is? Peter, Paul, and Mary takes its music – and the sound quality – very seriously. If you’re an audiophile, go check it out. Located just outside Apgujeong Rodeo station, with a menu that includes KRW20,000 bottles of Cass and a KRW1.85mil bottle of wine, Once in a Blue Moon can intimidate those unaccustomed to high class. 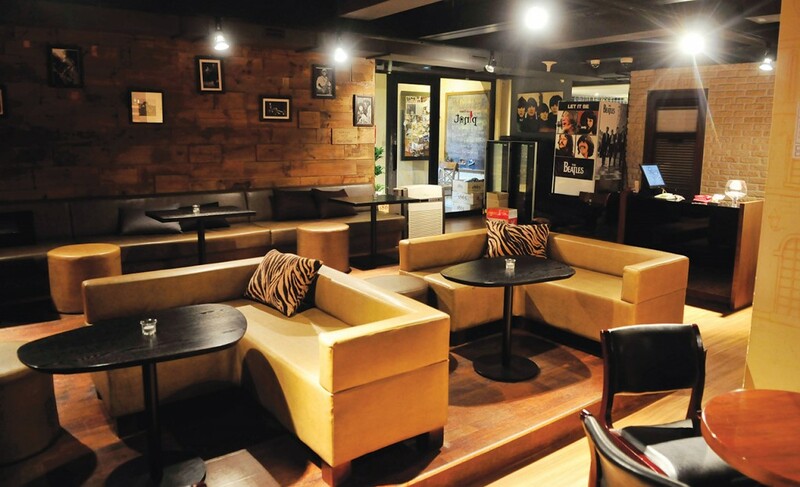 However, the friendly service, cozy atmosphere, and amazing jazz will help put you at ease. 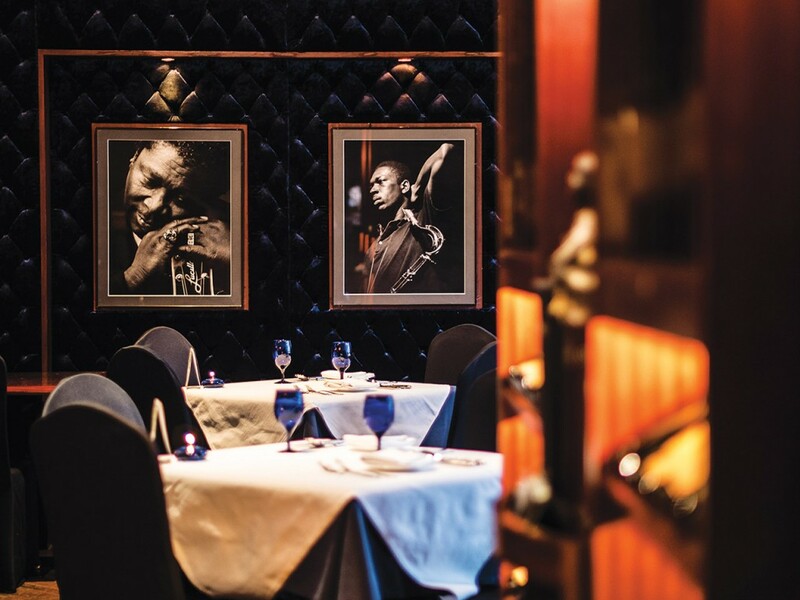 Featuring live jazz music every night, Once in a Blue Moon is perfect for a nice dinner or post-dinner drinks. 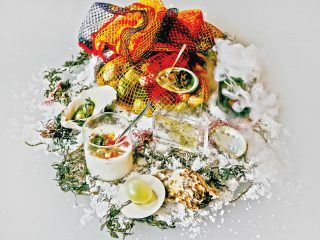 They feature a menu of fine dining, premium wines and signature cocktails. 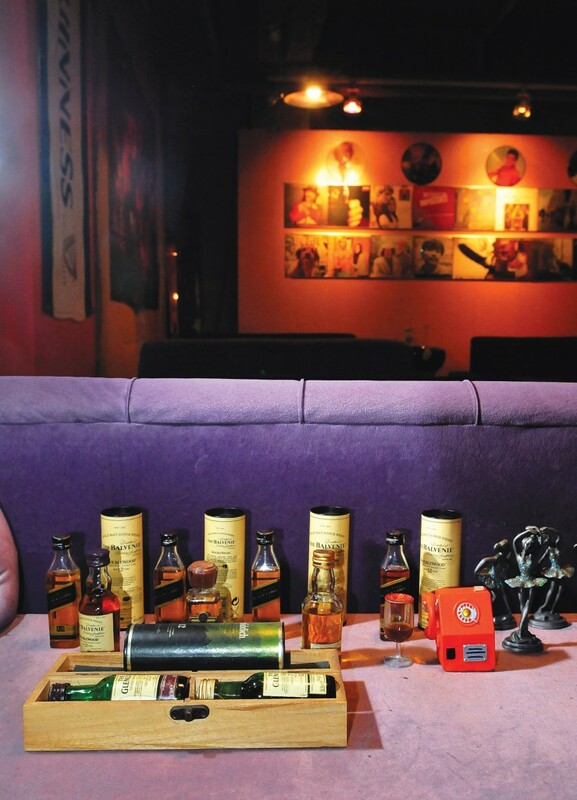 All the cocktails have jazz-inspired names, including the So What. This cocktail, named after the opening track from Miles Davis’ masterpiece “Kind of Blue,” was crafted with whiskey, grapefruit juice and liqueur, and sweet and sour mix, seamlessly melded into a tart, smooth and slightly effervescent crescendo on the tongue. 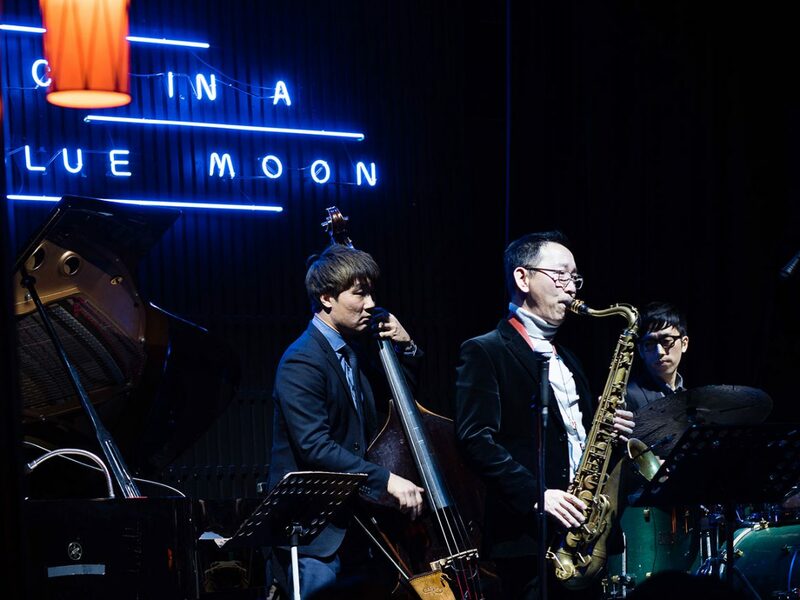 Most importantly, Once in a Blue Moon features great jazz performers and a pitch-perfect sound mix. The room is surprisingly cozy and intimate. The stage takes up almost a quarter of the room and is lit so well that you might feel as if you’re watching a musical. And there are no bad seats in the whole house. Overall, the experience will leave you feeling nice. Nice is usually a dull, lazy description, but this kind of nice is vivid and soulful. The music is sometimes exciting, sometimes funky, and other times crooning – all playing a part in creating a pleasant feeling of chill tranquility.